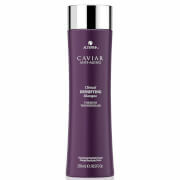 Restore your locks with Alterna Caviar Repair Instant Recovery Shampoo, a reparative shampoo infused with strengthening ingredients to improve hair's condition and resilience. 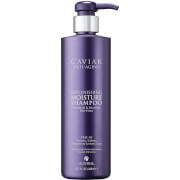 Infused with Caviar and Strand Building Proteins that mimic natural ceramides in the hair, the shampoo expertly cleanses away impurities whilst repairing damaged strands. Its restorative properties improve hair's strength whilst controlling frizz. Expect soft, shiny locks with renewed resilience.